Diabetes is featured by the high prevalence and low control resulting in high premature mortality rate. Maintaining the blood glucose level can bring considerable medical benefits and reduces the risk of diabetes. In real-time, continuous monitoring of blood glucose level is the major challenge. However, monitoring only glucose level without considering other factors such as ECG and physical activities can mislead to improper medication. Therefore, the ever-growing requirement for omnipresent healthcare system has engaged promising technologies such as the Internet of Things and cloud computing. Utilization of these techniques result with the computational complexity, high latency, and mobility problems. To address the aforesaid issues, we propose an energy efficient fog-assisted healthcare system to maintain the blood glucose level. The J48Graft decision tree is used to predict the risk level of diabetes with higher classification accuracy. By deploying fog computing, an emergency alert is generated immediately for precautionary measures. 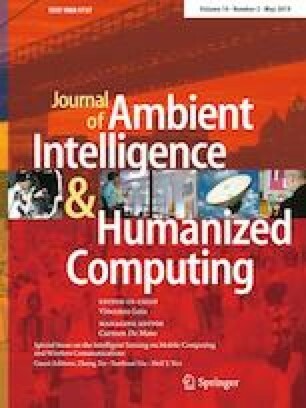 Experimental results illustrate the improved performance of the proposed system in terms of energy efficiency, prediction accuracy, computational complexity, and latency. Authors are grateful to the SASTRA Deemed University, Thanjavur, India for the financial support and infrastructural facilities provided to carry out this research.